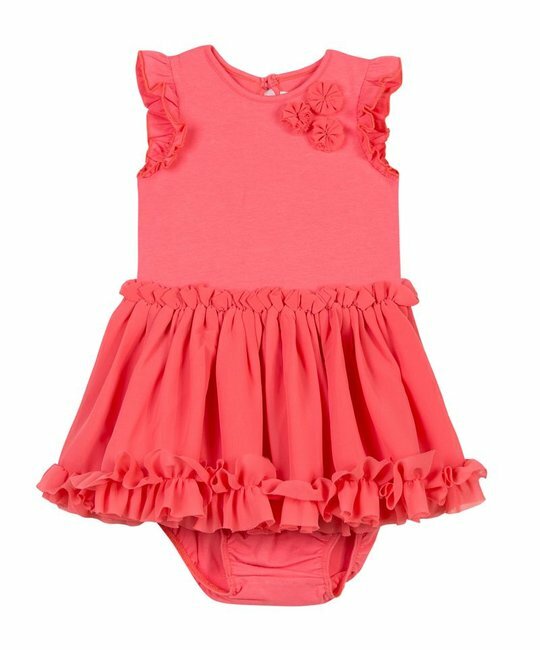 Lili Gaufrette coral ruffled sleeve dress with embellished detailing at chest, bloomer and ruffled skirt finish. 96% Cotton, 4% Elastane. Imported.